Effective Publisher Video Content: What Should Be Considered? 02/14/2018 / Danielle Borao / Comments Off on Effective Publisher Video Content: What Should Be Considered? With today’s easily accessible way of consuming content online, moving content is one of the many rising trends that increasingly improves in hooking online users. This is due to the convenience that videos bring forth toward viewers. eMarketer research states that the average time spent watching digital videos a day in the U.S. started at 61 minutes in 2015. This number is projected to go up to 81 minutes by 2019. Thus, publishers are migrating over to putting out more moving content on social media sites such as Facebook and Instagram as well as on their own sites. Moving content, or videos, on publisher sites are interesting and beneficial for many reasons. Today, we will have a look at why publishers are increasingly using video content and why you should too. In today’s highly digital era, quick and easy access to information dominates the online consumer and internet user demographic. According to a 2016 Digital News Report survey resulting from 26 countries worldwide, nearly every fourth online news video is viewed, and it will only continue to grow. Immediate and impulsive moving content appear across all channels such as publisher websites, landing pages, social media, etc. Consequently, dense text content are increasingly being pushed out. This is because in videos, complex content can be easily explained. In a how-to video, the narrator or host can simply describe the steps and/or procedure in as quick as two minutes. Therefore, audio, combined with captivating and relevant visuals, is what will help keep online users to stay on and watch the video for a longer period of time. To create the best content, be sure to establish your objectives from the start. Who are you addressing your content to? What message or information do you want to communicate? What is your purpose and goal that you intend to gain with this story? Are you looking to gain a legion of subscribers to your site, brand awareness of your platform, or both? Think about what platform your video will be placed in and in what device, such as mobile or desktop. How and what is the best way to appeal to your audience? You as a publisher should consider these types of questions in order to be best aligned with your viewers. 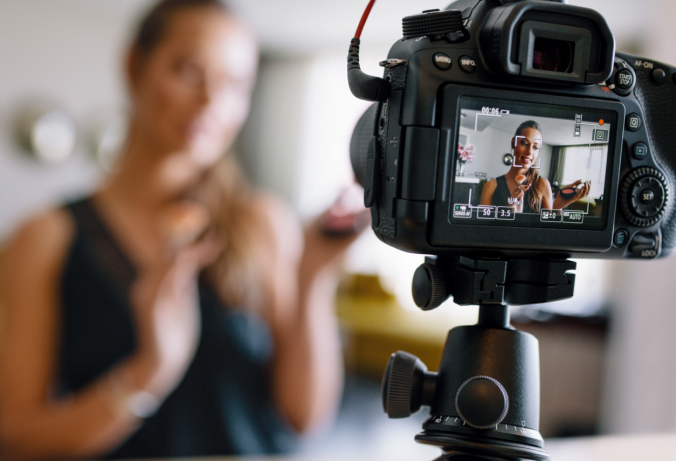 Use engaging visuals, memorable information in the form of powerful sayings, and relevant audio: be creative yet direct with your video content strategy. Which type of video content performs best? Quick, informative videos are what tend to perform best. For instance, Tasty from Buzzfeed posts how-to recipes that are at an average length of one to two minutes. A to-the-point approach combined with the visual ingredients of an appealing recipe results in enageed users who quickly consume content. This ensures a loyal legion of users. Another example are news sites such as The Guardian or BBC, where their content are not only the most shared on Facebook, but are also between 36-54 seconds. There is no specific video length requirement to follow when creating content. However, the key is to engage your viewers as soon as you can. According to research from Visible Measures, it only takes 10 seconds to grab a viewer’s attention, a 33% loss of viewers by 30 seconds, a 45% loss of viewers by one minute, and a 60% loss of viewers by two minutes. The key takeaway? Create quality content that hooks your viewers; do not be too concerned on the time length. You produced and published great moving content: now what? So, you have followed the above and are eager to know the results and performance of your content. What next? First of all, something to think about is how your video is performing. Did the content that you brainstormed, produced, and published deliver in the best way possible? Once you publish your content, the next step is to monitor your video’s KPIs as they are key. “How many views, clicks, and shares did I get on my video? What is the video play rate and playtime from today? How many viewers watched the video, and on what device?” With Linkpulse, a plista company, publisher videos are sure to be up-to-date with real-time analyses. Linkpulse’s latest video feature can monitor various KPIs such as video view time, visibility of where users opened the video stream, video performance for the past four weeks, and so much more. With Linkpulse’s ability to offer publishers KPI dashboards in real-time as well as insight reports on publishers’ video performance, publishers are sure to have all their questions answered on how their moving content is doing. If you have any further questions or interest in Linkpulse’s video feature, your account manager will be happy to support. Feel free to contact us. Do you want to receive more news, tips and trends in the online marketing industry? Sign up for our Digital Trends Newsletter here.